Oxycodone (OxyContin, Percocet) is an opioid pain reliever. Although it can be therapeutic for acute or chronic pain, its sedating and mood-altering effects increase the chances of abuse. Oxycodone addiction can lead to significant impairment in one’s life. Because of the drug’s unpleasant withdrawal symptoms and cravings, relapse is common among those recovering from an addiction to oxycodone. In the medical realm, relapse signifies a recurrence of a disease or illness after a period of recovery or remission. In terms of addiction, relapse typically refers to drug use after a period of sobriety and recovery. An estimated 40% to 60% of those recovering from a substance addiction experience a relapse at some point.5 Those who are seeking treatment for oxycodone addiction should prepare for the possibility of relapse so that they do not let it derail their recovery. Stress, exposure to triggers, and not having a prevention plan are common causes. Failure to have a proper prevention plan in place. If you have not developed a plan for dealing with your triggers, your cravings, and stress, you will have a harder time resisting the urge to use when confronted with these things. Stop using the drug immediately: Just because you used once doesn’t mean that you have to continue using. Don’t get discouraged, and remind yourself that relapse is common. Reaffirm your decision to seek sobriety. Think deeply about why the relapse occurred: Try to pinpoint any reasons or triggers behind your relapse. Ask yourself whether it was related to a specific event, if you were having problems with your family or friends, if you were going through a crisis, or whether you put yourself in a vulnerable position. Seek support as soon as possible: Contact your Narcotics Anonymous (NA) sponsor, a therapist, a family member, or a friend. Do not be afraid to reach out to your support system. Sponsors and counselors are there to help. The more support you have, the less likely you are to relapse again. Get back into treatment: Follow up with any aftercare or relapse prevention treatment programs you may be enrolled in. If you are not currently in a treatment program, find one as soon as possible. Even if you’ve been in a program before, you can always learn something new and use your relapse as a learning experience. If your relapse was severe or went on for days or weeks, you may need to enter a medically assisted detox and residential rehab program again to maximize your chances of recovery. Assess your current or previous treatment regimen:Perhaps your addiction treatment program, therapist, or counselor isn’t the right fit for you. If you don’t feel comfortable with your treatment program or therapist, you’re less likely to achieve long-term recovery. Seek out another program or addiction professional whose treatment values and approach are better aligned with yours. Consider whether there is an undiagnosed mental illness or trauma: Many people with addictions have co-occurring mental health disorders, which is referred to as dual diagnosis. Dual diagnosis treatment programs can help you effectively treat addiction as well as any other mental health problems or past traumas. Consider medication maintenance treatment: Medications such as methadone, buprenorphine, and naltrexone can help manage oxycodone cravings and decrease the likelihood of relapse. 5 If you’ve previously taken this kind of medication, you may want to consider going back on it. If you are currently taking it, talk to your prescribing clinician or therapist about adjusting your dosage. Who Answers? to find a recovery program that offers relapse prevention for oxycodone or another drug. Going through a crisis. The loss of a job, the death of a loved one, or a serious illness can serve as a relapse trigger if you don’t seek out support from others. Reducing participation in 12-step or support group meetings. 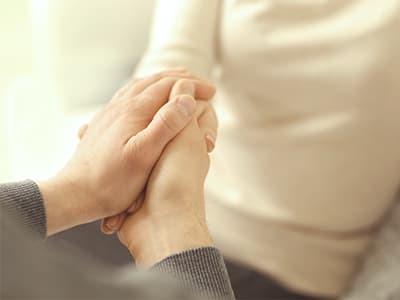 Twelve-step programs and support groups offer a place to connect with others in addiction recovery and receive the motivation to stay sober. They remind you that you are not alone in your recovery. Spending time around people who are still using drugs. If you’re still hanging out people who are using drugs, you are more likely to relapse – either from being triggered by seeing drugs or being offered them by other people. Starting to think that you can use “just once.” This is a mistake many people in recovery make. It’s easy for one time to become two times, then three times, and so on. Isolating yourself. Recovery is difficult to navigate alone. Too much time alone can lead to feelings of loneliness, depression, and despair, and you might be tempted to reach for oxycodone to soothe those feelings. However, it can sometimes be difficult for people to recognize addiction as a chronic condition. If a person experiences a relapse following diabetes treatment, that does not mean that the treatment failed. Addiction should be viewed similarly. Relapsing simply means that treatment needs to be reinitiated, reconsidered, or adjusted. Many people seeking treatment for oxycodone addiction will relapse at least once, if not twice or more, before achieving long-term sobriety. People in recovery should look at relapse as a learning experience rather than a failure. It’s an opportunity to evaluate what triggered your oxycodone relapse and find ways to avoid relapse in the future. If you or someone you love is currently struggling with or recovering from oxycodone addiction, enroll in an addiction treatment or relapse prevention program as soon as possible to improve your chances of recovery. If you aren’t sure how to find a recovery program that is right for you, consider contacting one of our recovery support specialists for assistance at 1-888-319-2606 Who Answers? .
. Hendershot, C.S., Witkiewitz, K., et. al. (2011). Relapse Prevention for Addictive Behaviors. Substance Abuse Treatment Prevent Policy 6:17.
. Substance Abuse and Mental Health Services Administration (SAMHSA). (2016). Opioids.
. Volkow, N.D. (2014). National Institute on Drug Abuse (NIH). America’s Addiction to Opioids: Heroin and Prescription Drug Abuse.
. Smyth, B.P., Barry, J., et. al. (2010). Lapse and Relapse Following Inpatient Treatment of Opiate Dependence Irish Medical Journal 103(6):176-179.
. National Institute on Drug Abuse. (2014). Drugs, Brains, and Behavior: The Science of Addiction. Treatment and Recovery.